New Israeli technology will allow customers to visit virtual reality hotel and apartment rooms before buying or ordering. The Israeli high-tech company VDroom launched a VR (virtual reality) gallery with 360-degree photography technology. This is a gallery that displays the best pictures in smart order to improve the photography's marketing mission. VDroom's technology platform for virtual reality sites is designed primarily for hotels, rental apartments, airlines, and resorts for marketing and advertising. 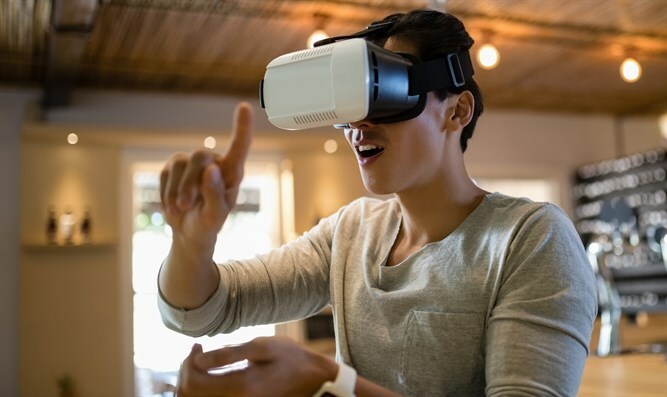 "The goal is to present content in virtual reality," explains the company, "and make the user experience better and more professional, so the customer will calmly arrive at his destination without the fears that accompany remote vacation reservations." The smart gallery is displayed near the hotel's or apartment owner's standard photo gallery and VDroom says a chain with ten hotels can add up to $1 million a year. "Our solution greatly simplifies the process and makes it accessible to people with accommodation and tourist sites," explains VDroom. "VDroom's interface connects with all the tourism giants including Trip Advisor, Hotels combined, and more. " VDroom recently signed an agreement with a management company in Germany (GCH) for a pilot with 24 hotels. The agreement is now expanding to 154 hotels. The project is in the process of assimilating another 1,000 properties by the end of 2018. "In recent years something has been happening in the virtual field," says VDroom CEO and founder Michal Hubschmann. "There's a push on the part of Google and Facebook, and we are using this option with an intuitive user interface. In fact, we come to the hotels and apartment owners and tell them - leverage your photos and thus leverage your revenue. 360 photos will allow a person to feel as though he is actually in the room and touring the hotel."